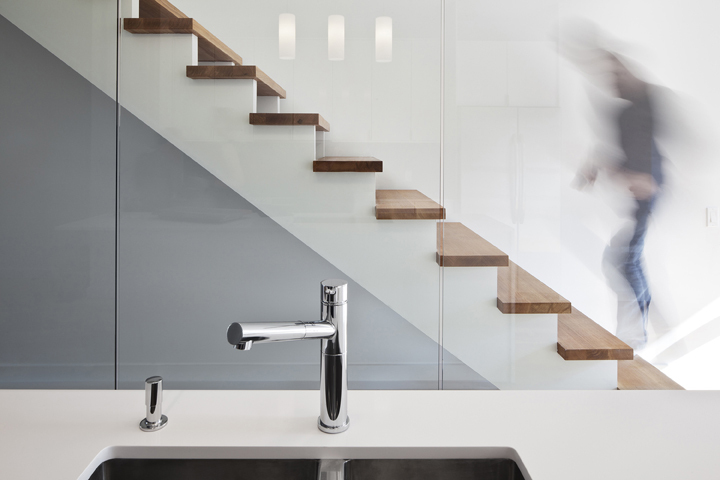 This Leslieville gem is the inaugural project of MODERNest, co-founded by architects Kyra Clarkson and Christopher Glaisek. In response to downtown Toronto’s need for mid-market contemporary houses, MODERNest aims at providing new build single family houses for those wanting a modern aesthetic who don't have the time, budget or inclination to commission a custom-designed home themselves. A MODERNest house focuses on getting the basics right - good rooms, large windows, plenty of closets, hardwood floors, strong connections between inside and outside, and a positive relationship of the house to its surroundings. In doing so, they aspire to strengthen communities, revitalize the urban fabric, and be good neighbours. Visit MODERNest for more information. Selling a non-conforming house in an emerging neighbourhood requires marketing savvy, follow up and patience!